Many wildlife sanctuaries in India provide you a perfect setting to study animals and avian life at its best in their natural surroundings. 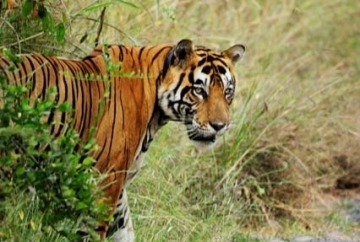 Wildlife in Sariska, because of its ecological, floral, geomorphologic and cultural significance, is marked as one of the most unique of all the protected areas in India. Wildlife in Sariska national park includes the leopard, wild cat, Hyena and Jackal. But the main attraction of the place lies in sheltering the many tigers of India. 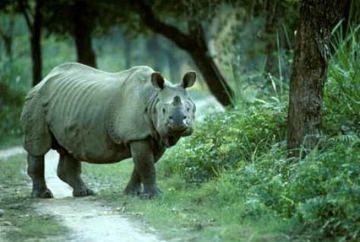 This majestic animal runs the risk of being totally obliterated from the face of this earth, if poaching continues at a random speed as it is today. One of the threatened species of today, the tiger can only survive if proper measures are taken to stop poaching by the forest officials. Project tiger is instrumental in bringing about a sea change in the ecological balance of these denizens of the wild. Birds in Sariska form an integral part of the Wildlife in Sariska. The Peafowl, grey partridge, bush quail, golden backed woodpecker are some of the birds that you get to see here. Another factor that attracts the tourists to Sariska, is the derelict ruins of forts and temples in the very vicinity of the wildlife sanctuary in Sariska. 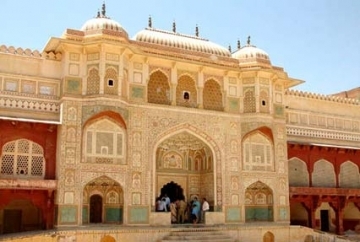 Take a sneak peek at the days of yore in the Alwar palace, Kankauri fort and the ancient Shiva temple.